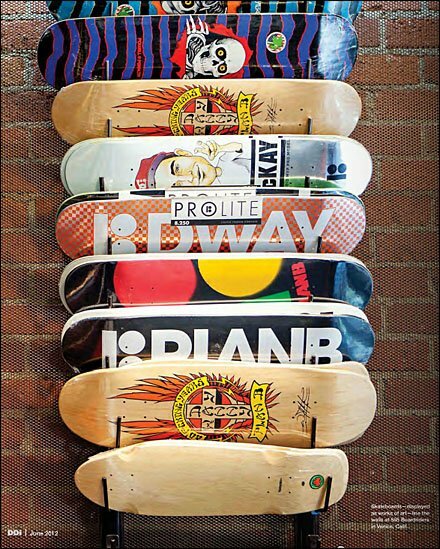 How to Sell Skateboards? No, I don’t know the best way to sell skateboards. But maybe Quicksilver, Inc. and their Boardriders retail outlet do know. I found this wall rack for skateboards most interesting. It stocks, stores and presents the boards and their vivid graphics. CLICK the thumbnail for another look. For a full commentary see “Making Waves” in the Display and Design Ideas, June 2012 issue.